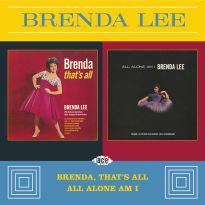 Here is the first volume in Ace's forthcoming programme of Brenda Lee re-issues that will see her first ten LPs for US Decca paired across five CDs. The best selling female pop vocalist of the early to mid1960s, Brenda Lee was an international megastar who sold over100 million records she was voted Best Female Vocalist by the NME for five consecutive years all before she was 21. And while it is true to say she showed a preference for recording ballads in order to attract the greatest number of record buyers, she also possessed one of the toughest rock'n'roll voices of the period THE greatest according to John Lennon. 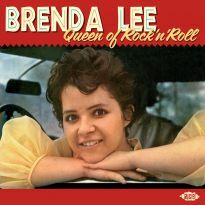 Brenda Lee's mother's aim was to make a child star of her youngest daughter. 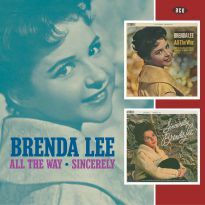 In1956, aged14, Brenda's career took a quantum leap forward when a deejay friend introduced her to the country music legend Red Foley and his manager, Dub Allbritten. 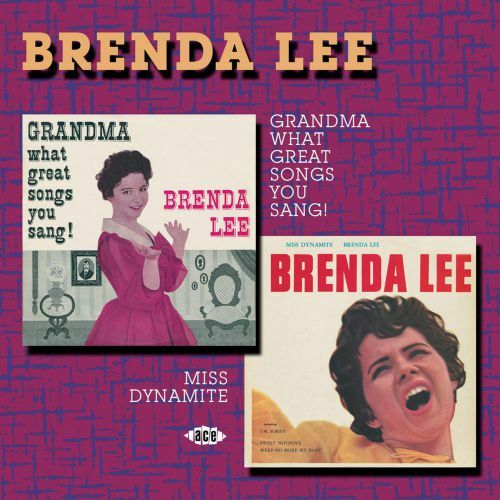 Foley fronted the Ozark Jubilee, a weekly country and rockabilly showcase televised nationally and Brenda made her debut there performing the old Hank Williams tune Jambalaya on the show's monthly junior spot on 31March1956. 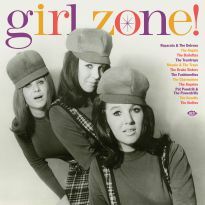 She appeared regularly on the show until1959 when hit records transformed the dynamics of her career. 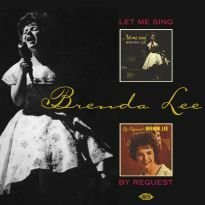 Crossroads Productions signed Brenda to a managerial contract and Decca signed her to a recording contract on 21May1956. 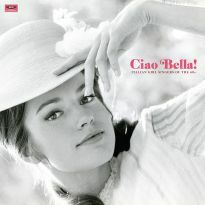 They launched her recording career with Jambalaya, promoting her as a beribboned singing cherub. 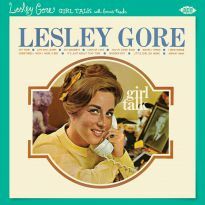 Most of the singles Lee made in1956-57 attempted the difficult compromise of marrying her 'kiddie' image to the demands of bump 'n' grind rock 'n' roll. 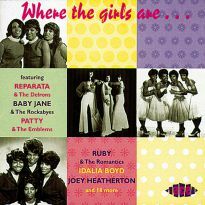 Her third 45, One Step At A Time reached the US Top 50 in the spring of1957 and she consolidated with a lesser hit, Dynamite, that summer. However, subsequent releases failed to register and she was absent from the1958 charts, by which time her novelty appeal had waned. 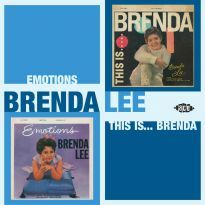 Bradley and Allbritten remained confident that their faith in Brenda would ultimately be fulfilled and they worked at maintaining her profile. 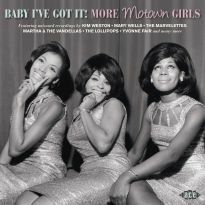 The record that finally propelled her to international stardom in late1959 was Sweet Nothin's featuring an unusual whispering gimmick on the intro that proved popular with deejays. 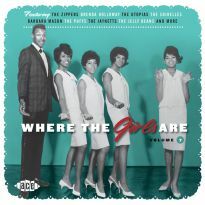 The next single, I'm Sorry, reached #1on its way to becoming one of1960's biggest hits. She consolidated her position as a major recording star by following with a second #1, I Want To Be Wanted, an Italian ballad customised with English lyrics. That December, a timely re-issue of1958's Rockin' Around The Christmas Tree reached #14, while her next regular 45, Emotions climbed to #7. 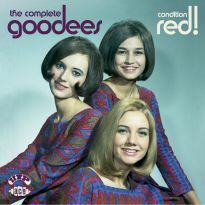 Decca, it seemed, couldn't press Brenda's records fast enough to meet the demand and her success helped focus the industry's attention onNashvilleas a recording locale. 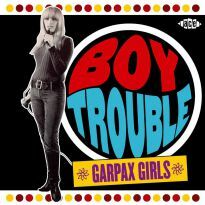 In fact, Brenda and fellow chart-maker Roy Orbison were arguably the twin standard bearers ofNashville's rise to pre-eminence in the pop market during the 60s. 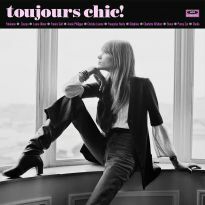 Here, then, are her first two LPs recorded when she was just15 and16, paired (in stereo) on one CD. "Grandma, What Great Songs You Sang!" 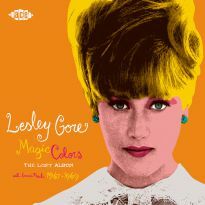 recorded in1958 before she'd had a major hit, was a largely experimental set comprising songs from an earlier age. 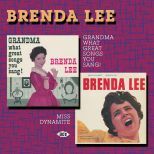 "Miss Dynamite" (known simply as "Brenda Lee" in the States) shows how quickly she found her own style given the right material. 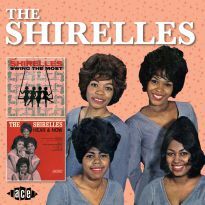 It spent an incredible 57 weeks on Billboard's LP chart peaking at #5. The booklet features original cover art enhanced with extra memorabilia and additional annotation by wee laddie Rob Finnis.